Transform your next conference by bringing more to the table than static presentations and panels with our engaging conferences. We engineer the right relationships and knowledge flow. We can help you generate purposeful teams using algorithms that maximize the potential for meaningful conversation and connections between participants with common interests or goals. We design immersive learning experiences to break the conference mold, getting participants out of their seats and on their feet in engaging activities that are both fun and designed to address specific learning objectives. Engage, inspire, and develop your talent with learning summits. Together, we will explore, define, and clarify the learning objectives for your target audience. Next, we will design immersive learning experiences to address areas such as change management, innovation, design, or collaboration. We take people out of their everyday environments and guide them though a learning experience in a dynamic, immersive, and emotive workspace. We use adult learning, collaboration principles, and gamification when designing the learning experience to maximize individual and collective insights. Bring your next presentation to life by adding a graphic recorder. You talk while we scribe and capture the story visually. We facilitate at your meeting, workshop, or conference in real time. 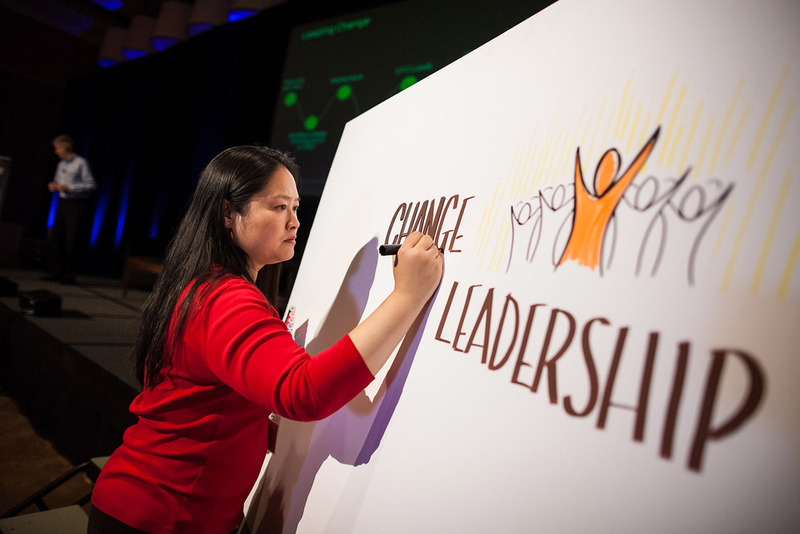 Our graphic facilitator can either work on giant boards in the room or digitally from a remote location. It is an effective way to capture conversations so that they can remembered and shared. Graphic facilitation increases engagement in gatherings because people are able to see both the big picture and what they say as they say it. This leads to productive and focused conversation. It also increases group memory and follow-up.